The legendary actress, singer and entertainer Debbie Reynolds passed away on December 29th one day after her daughter, Carrie Fisher passed away. I had the pleasure of talking with Debbie on WSRQ radio in 2008. 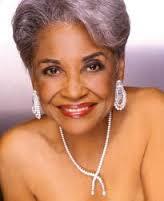 Here is the “Big Band Files” show featuring some songs of Debbie Reynolds and our conversation. 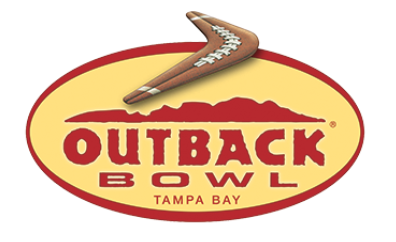 Iowa Head Coach Kirk Ferentz and Florida Head Coach Jim McElwain held a press conference today to talk about Monday’s Outback Bowl in Tampa. Click here to view the transcript. 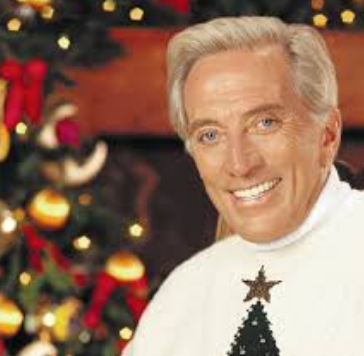 Doug Miles Big Band Files New Year’s Eve Show as aired WTMY radio. (St. Petersburg, FL) Nelson Adams blocked Nick Dowd’s potential game winning field goal with 5 seconds left in the game lifting the Bulldogs to a dramatic 17-16 comeback win over Miami (OH) in the St. Petersburg Bowl Saturday afternoon at Tropicana Field. The Red Hawks muzzled the Bulldogs offense for most of the game by slowing the pace and keeping Mississippi State out of their usual quick paced rhythm. Miami (OH) drove down the field on their opening possession but had to settle for an 18-yard field goal by Nick Dowd. Miami (OH) led 3-0 after the first quarter. Quarterback Gus Ragland, completed a 6 yard touchdown pass to James Gardner midway through the second quarter to extend the Red Hawks lead to 9-0 after a blocked extra point. A sign of things to come at the end of the game. Mississippi State (6-7) finally got on the board with :22 seconds left in the half when Quarterback Nick Fitzgerald bulldogged his way into the end zone from 2 yards out to pull his team within 9-7 at the midway break. Gus Ragland led Miami (OH) (6-7) on an 8 play, 85-yard scoring drive early in the third quarter capping it off with a short, one-yard touchdown pass to Ryan Smith to make it 16-7. The Bulldogs responded when QB Nick Fitzgerald broke to the outside and rumbled 44 yards for a touchdown pulling Mississippi State to within 16-14 with 4:15 left in the 3rd. Early in the 4th quarter after Fitzgerald ran the ball 26 yards to the Miami (OH) 38. A hit to the head penalty by Deondre Daniels added an additional 15 yards setting up Westin Graves 36 yard field goal, which would prove to be the game winner. Both starting quarterbacks were named game MVP’s. Bulldogs QB Nick Fitzgerald completed 13 of 26 passes for 126 yards and ran the ball 18 times for 142 yards. Red Hawks quarterback Gus Ragland went 21-29 for 257 yards and 2 touchdowns with 1 INT and rushed for 51 yards on 17 carries. Both teams combined for 768 total yards, 4th highest in St. Pete Bowl history. Miami (OH) dropped their first six games of the season and then won six straight to become bowl eligible. Today’s game was broadcast on ESPN with Dave LaMont, Rene Ingoglia and Chris Doering and on ESPN Radio. Former Tampa Bay Buccaneer and St. Petersburg resident Mike Alstott is the Honorary Game Chairman for this year’s St. Pete Bowl. He also took part in the opening coin toss. 38 current players in the NFL have played in the 8 previous St. Petersburg Bowls including Latavius Murray (Oakland Raiders), Blake Bortles (Jacksonville Jaguars), T.Y. Hilton (Indianapolis Colts) and Mohamed Sanu (Atlanta Falcons). In all, 133 players in the St. Pete Bowl have been drafted by NFL teams. Mississippi State is the first SEC team to play in the St. Pete Bowl. Miami (OH) is the third MAC team to take part, the others Ball State in 2012 and Ohio in 2013. Uniform shuffle: Miami University wore the visitor uniforms of red helmets, white jerseys and red pants. Mississippi State wore the home uniforms of all maroon helmets, jerseys and pants. The 9th St. Petersburg Bowl will pit Mississippi State against Miami (Ohio) at Tropicana Field on Monday, December 26th. Kickoff is 11AM. ESPN will televise the game. We’ll have game updates and reports via the dougmilesmedia Facebook, Twitter and Instagram pages and a full game report right here at dougmilesmedia.com. 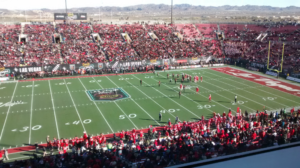 (Las Vegas, NV) Donnel Pumphrey, Jr. became college football’s all-time leading rusher leading his San Diego Aztecs to a 34-10 victory over the Houston Cougars in the 25th Las Vegas Bowl Saturday afternoon at Sam Boyd Stadium. Pumphrey rushed for 115 yards on 19 carries with the record breaker coming in the 4th quarter on a 15-yard jaunt that broke Ron Dayne’s record set between 1996-1999. The Houston Cougars (9-4) defense effectively stifled Pumphrey in the first quarter holding the senior running back to -1 yard rushing. A 30-yard run early in the second quarter opened the floodgates and he and never looked back. The Cougars took the early lead on a Ty Cummings 31-yard field goal with 6:38 left in the first quarter and scored again on their next possession when quarterback Greg Ward, Jr. ran it in from 2 yards out. That would be the extent of Ward’s success on a chilly day in the desert as he was intercepted 4 times and sacked 7 times by a ferocious Aztec defense. A pair of John Baron field goals pulled the Aztecs to within 10-6 at the half. Five minutes into the 3rd quarter, Calvin Munson picked off Greg Ward’s pass setting up Donnel Pumphries’ 32 yard touchdown run, giving San Diego State a lead they would not relinquish. On the next series, Ward was intercepted again as Ron Smith returned it 54 yards for a touchdown. Pumphrey broke the record early in the fourth quarter with a 15-yard burst to the outside and down the sideline before going out of bounds. His teammates knew that was the run that did it and swarmed around him to celebrate. San Diego State spoiled Major Applewhite’s debut as head coach of the Houston Cougars. Applewhite was recently promoted from his offensive coordinator position. Donnel Pumphrey was voted the game’s MVP by the media covering the game. Major Applewhite made his debut as the Cougars Head Coach in today’s game. He had been Houston’s offensive coordinator. Today’s game was broadcast on ABC-TV with Brent Musburger calling the play-by-play for the seventh time. Jesse Palmer did the color commentary and Kaylee Hartung handled the sideline reporting. Alabama Crimson broadcaster Eli Gold called the game for USA for Sports USA Radio Network with former college football coach Gary Barnett doing the color commentary. Brent Musburger was inducted into the Las Vegas Bowl Hall of Fame at Friday’s kickoff luncheon at the Hard Rock Hotel. He will also be calling the Sugar Bowl in New Orleans on January 2nd where Auburn will play Oklahoma. The Houston Cougars are the first team from Texas to play in the Las Vegas Bowl. San Diego State is playing in its second Las Vegas Bowl and first since 1998. Houston played one regular season game in Sam Boyd Stadium in 1989 handing UNLV a 69-0 loss led by eventual Heisman Trophy winning quarterback Andre Ware. 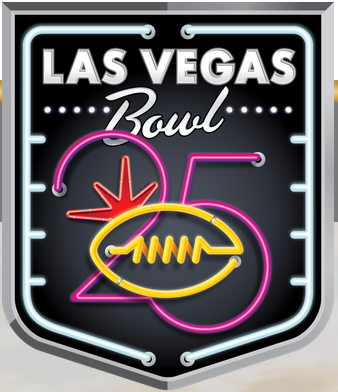 Now in its 25th year, the Las Vegas Bowl is the 16th oldest bowl game out of the current 40 being played. It was formerly the “California Raisin Bowl” played in Fresno, CA. Uniform Shuffle: San Diego State, the home team in today’s game, wore black jerseys and black pants with red helmets. Houston, the visiting team, wore red jerseys, red pants and white helmets. Aztecs running back Donnel Pumphrey, Jr., a Las Vegas native who played high school football at Canyon Springs just 18 miles from Sam Boyd Stadium, broke Ron Dayne’s all-time collegiate rushing record of 6,397 yards set between 1996-99 with a 15 yard run in the 4th quarter. He needed 108 yards today to set a new mark. (Las Vegas, NV) Sportscaster Brent Musburger was inducted into the Las Vegas Bowl Hall of Fame at Friday’s kickoff luncheon at the Hard Rock Hotel and Casino. Musburger will call his seventh Las Vegas Bowl Game Saturday afternoon (12:30 PM PT) on ABC-TV when the Houston Cougars (9-3) face the Mountain West Conference Champion San Diego State Aztecs (10-2) at Sam Boyd Stadium. Below are his comments at the luncheon.